Creating a static redesign of your site if doing a redesign of your current web builder. I will create a JPEG mockup that should be viewed in sections to get an idea of what the new website will look like. After the static designs are approved, I will begin making the edits on the live site. Nothing on this site is final until the content and overall pages are approved. My Progress Checklist is updated as I work on pieces of the website for your viewing. You can add notes on what you need to be changed, and I will make them as I work on the overall test site. The more feedback I get while creating this test site, the more it will fit the vision of you and your business. A fully functioning website allows you to pick different features and find out what works best for your business, so sometimes, my test sites will have different ways of doing the same thing. For Example, having social media appear in the header, or in the footer, or with the content, or as a popup. There is no need to have the social media display in all of those areas, but a test site can help you figure out where you want that feature. The same is true for galleries, contact forms, and other content pieces. The site may run slow because no cache plugins are active while I am building and making changes. Image Optimizer plugins are also uploaded and implemented last for the same reason. These plugins resize images and lower resolution, which can affect photos in prominent areas like the header that require a higher resolution. A Progress Checklist is created and shared on a Google drive. This Google drive is also where clients can put their content, photos, videos, and any other items that need to be incorporated into a website. For my purposes, I will track time dedicated to client work using my An Co account that creates my invoices and contracts. Though my projects are not charged by the hour, it is important for clients to see how much value they are receiving. What is Client Homework and why do I need it? Client homework is example website layouts that you like, sample writing, Google analytics numbers, and other information that I may need for completing your website. For example, a writing sample helps me to write better in your voice. When writing copywriting, I will consider the target avatar and write to that specific audience. However, it is very important that the tone and the style reflect you and your voice. This can only be accomplished with a writing sample. Sometimes I will need more direction on what photos you need in certain areas. If you are a local business, I can meet with you to choose photos. Other things I may need are detailed contact form layouts, or forms or contracts if your businesses need that service. Client homework and feedback is vital to completing your project on time. Feedback also ensures that I create a product that best reflects you and your business. The earlier I get client homework and feedback, the sooner I can complete the milestones for completing your website. Without feedback, I can end up working in the wrong direction. 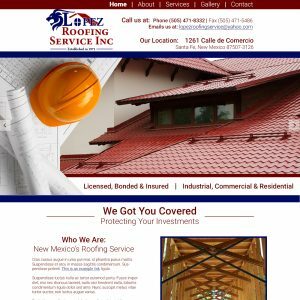 Want to help your business reach the sky with professional branding and web design, than contact me at 505-270-6794. What are Comps? How do they help in creating your design? After we have conducted the client interview, I start working on the designs for the upgrades to your branding or website. To get a better idea of the look, I create ‘comps,’ which is short for comprehensive layout in graphic design terms. A comp is a draft of your logo or website layout before adding the final finishes. In the logo comps, I will use different fonts, color schemes, and graphics or images to get the right look and representation for what we talked about in our client interview. For logo designs, I will create at least four looks, with one of them will be very different than the others to ensure I’m taking the right direction. These looks are created quickly and are not finalized. For example, logos are created in Photoshop where I can adjust the settings and alternations rapidly. The final logo is created in Illustrator because logos need to be in vector format if they are going to be produced in different products. For example, car wraps that need vectors because the file will have to be resized to accommodate a large product. 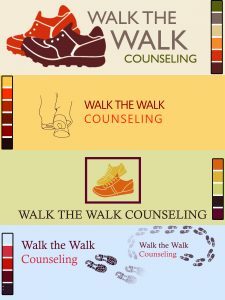 An example of four comps created for a logo in progress for Walk the Walk Counseling. For the comps in website development, I will create one very detailed landing page based on the font and colors of the logo to get a consistent look for your website. The landing page shows the overall styling and hierarchy structure of your site. For the rest of your pages, I will create wireframe comps of the remaining pages. The purpose of the wireframe layouts is to ensure that the pages have a good user experience based on the content of your pages. Based on the content of each page, the structure may be different your landing page, but the style will the same. The deliverable is your final finished product for approval. For your logo, it will be sent to you in a couple of different formats so that you can view and use it on any computer. There is one file format you may not be able to open, which is the vector file that will be saved in the EPS or .ai file format. Why Do You Want the Vector File? To have your logo sewn on t-shirts or apparel goods, you will also need your logo in vector format for the sewing machine programs. Having your logo already in a vector file format will ensure your logo remains consistent with the rest of your branding products. Vector file formats are used in the production of most branding products because they are the best file formats for resizing graphics without killing pixels and resolution. This is because they are drawn and defined by mathematical curves and formulae rather than in the pixels. However, you can’t preview or open this file unless you have a vector program like Adobe Illustrator. Most shops that create the promotional products you need will have this program and be able to work with the file. When you get your completed logo, you will receive it a JPEG (.jpeg), PNG (.png), and TIFF (.tiff) file formats. Having multiple file formats allows you to view and use your logo on any computer or device. These file formats are also compatible with any business programs you may need with your logo. The JPEG is most efficient but will be flattened with a white background. It is your best preview file but does not have the option of having a transparent background. Transparent backgrounds are more useful for most situations that you need you to use your logo. The PNG or TIFF files will have a transparent background. The reason why I send both is that they may display on a black background you if don’t have the right program to open the file. PNG files work best and open well in Microsoft programs, while TIFF is accessible on most other platforms, but may not preview on your computer. Example of a website design. After the comps are approved, I will create a test site first of your website that will have the root of http:blueskies/yourwebsite/. We need to ensure that the website functions the way you expect. After the final payment, we transfer the site to your domain. More about this topic in the next post! If you haven’t guessed by now, these Process themed posts are about how I conduct business in providing both marketing consulting and design services. I mentioned in an earlier post how transparency is essential to personal branding because it is the easiest way to establish trust with your clients. 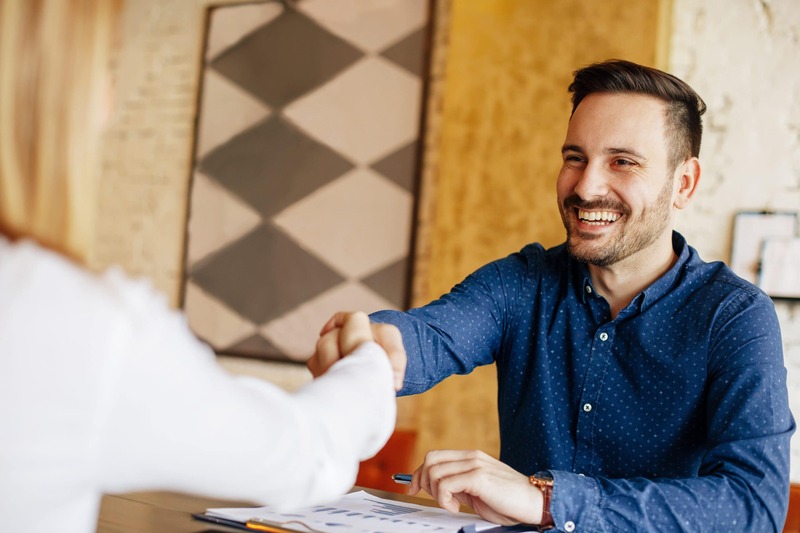 This article may help new clients understand how I may conduct business with them, and they may help you determine and share your process for how you do business. Contracts are essential to any design work because they protect both the client and my business. Contracts have legal implications that ensure that I will get paid for the work I have produced, and also ensure that you get a product that helps your business. Contracts are the best documents for creating a good working relationship with boundaries that will protect both parties. By setting up a contract, you show your clients that you mean business and are looking out for their best interests in creating the work. They are the best way of setting up a business relationship on the right foot. I have designed my business to do all contracting and invoicing through AND CO, a company that allows me to create contracts, project trackers, time management tool, and sending invoices that will enable my clients to pay online for their convenience. It also tracks my business expenses, saves receipts, and helps to prepare my taxes. It helps me to keep my business documents organized and saves me time, so I can focus on doing the business that I love. Do you like these marketing insights? Subscribe to my newsletter today! One of the things I outline in my contracts is a timeline of when deliverables are expected to be completed. Deliverables are the actual products I make for you, such as your logo, copywriting, website designs, and final website build. I make accommodations for my clients since they are mostly small business owners who may need a payment plan to pay for my services. If the payments are over a couple of several months, deliverables will be spaced apart because I will have to find other client work to pay my bills. If a client can pay the full sum, I require half of the payment up front, partly because it is a deposit, and because it is needed to purchase items such as website domains and other expenses that may be required to pay for their website development. Final invoices are paid after the client is happy with their finished product. I am not just your designer, but also your marketing consultant. One way that my business is very different from other website or branding businesses is that I provide marketing consulting that takes more into consideration than just online marketing. I do research on your competitors, and I look into the other ways on how they find work. For instance, your competitors may have profiles on services like Gigmasters, a service that offers business profiles for service based gigs such as face painting or party hosting. Getting a profile established on those lead website may also help to increase your business, and it’s slightly different for every industry. 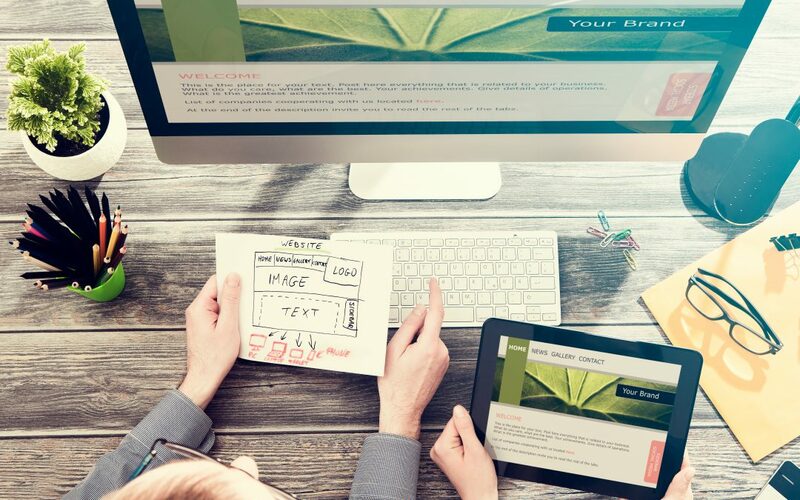 Are you ready to give your branding or website an upgrade? Contact me today! 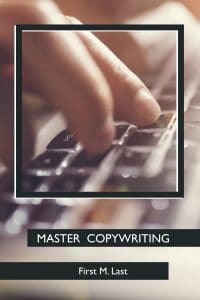 Example of an eBook cover for Copywriting. On Mondays, Wednesdays, and Fridays, Blue Skies has a limited promotion to highlight some of your other business needs. For today’s Friday, there is a $50 Promotion for a custom cover design for your business Ebook. The cover of your Ebook is essential because in a way, it the immediate branding of your book. It sets the tone and communicates what your book is about. A professionally designed cover will set your book apart from the rest of the sea of self-published books. Email me here or call me at 505-270-6794 if you would like a more custom cover for this limited $50. I can also do layout and design for ebooks, and feel free to contact me at the above for a quote. I want to help your book sell, and I love feedback. All covers are one of a kind, although variants may be created from some covers. The images are high quality in 3000 x 4200 at 300 dpi or larger and can resize as needed. The format will be JPG and TIFF as desired. If you need a cover for print ( spine and back cover), please let me know for an added cost of $60. The hardest part of upgrading your branding or website is identifying the strengths and weaknesses of what you currently have, and how it performs TODAY. A consulting interview is essential in figuring out what work needs to conducted on your website or personal brand. Rarely, there is a one-solution for fixing the issues that could be effecting engagement on your website. This is because small business owners often have niche audiences that require a different type of reach or engagement. It would be a mistake to try a one-type fix such as solely focusing on one element of your website. What do I mean by one-type fixes? A one-type fix may be the redesigning the overall layout of your website, or rebranding, creating different social media engagement, or focusing on solely on SEO, or search engine optimization. A well-designed website will keep users on the site. While Search Engine Optimization is essential to get your audience even to see your web presence, the algorithms, and methods that SEO regularly change. The SEO practices of five years ago would include creating large sites full of pages with repeating keywords to make the websites rank higher in search engines. Today, the best practices include creating meaningful content that engages the viewer enough not to click away from the page but continue to scroll through the material. Content is king, and long landing pages with exciting multimedia content are what keeps users engaged. If you would like to schedule a free consulting interview to see what could make your website level up, call me at 505-270-6794 or email me here. A consulting interview can give you a fresh pair of eyes to see your website and branding. You are an expert in your industry, and it is easy to get caught up using jargon or technical terms that may not make sense to your audience. A consultation with me can also help determine if you are promoting the right message, in the right tone of voice to your target audience. For example, therapists will need to sound professional, but also human and approachable. Life coaches are selling themselves and the story of how you can improve your life. Artists and writers may have artist statements of why they create their work, but telling it in a story or witty clips is more engaging. One of the potential problems in working with an agency is the one type all marketing may not apply to your business. 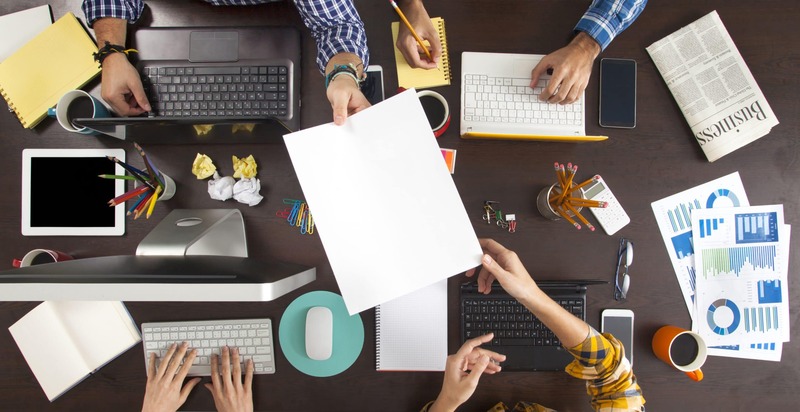 You may have a beautifully designed website, but need better-written content, or vice verses. Every state, region, city or town has its culture. A local designer will already know and understand the culture of your client base, which is not something that can be communicated or expressed if you don’t live in the local area. Culture is complicated, comprised of language, values, beliefs, norms, and behaviors, which can vary widely even within a city district. Having a design or story be able to express and relate to that culture will make the design appear stronger to your client base. An understanding of local culture is essential for local businesses that are not intended to become national franchises but are covering a local niche market. In a way, your local designer is the niche marketer for your local businesses. While teleconferencing has greatly improved how we can communicate and interact with clients, you will be able to better articulate your better story if you meet with your local designers. 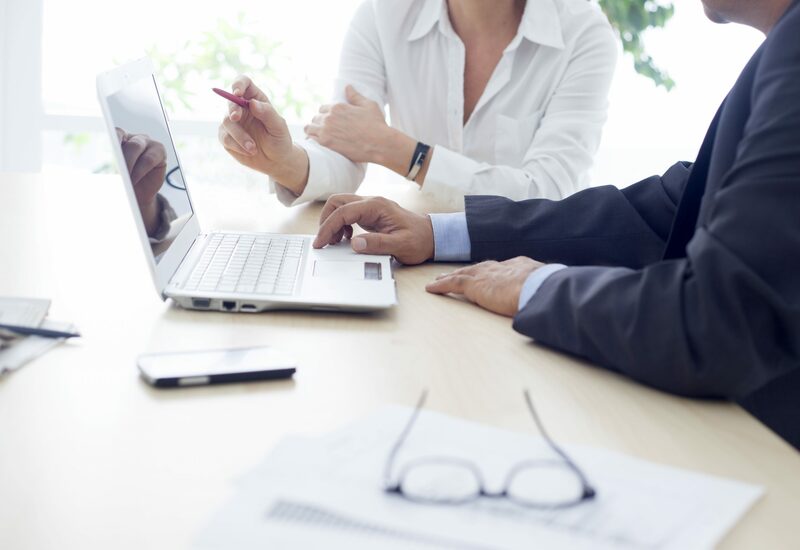 Communication is essential to understanding the story of a business, and it is most effective in person because so much can be stated in nonverbal cues. It can also build trust between you and design team, in providing reassurance that they understand your business needs. When you support local small businesses or designers, you are stimulating your local economy. A healthier local economy will boost your own business. It can also lead to networking opportunities with other local businesses.